Advanced parental age has been associated with adverse health effects in the offspring including childhood (0–14 years) acute lymphoblastic leukemia (ALL), as reported in our meta-analysis of published studies. We aimed to further explore the association using primary data from 16 studies participating in the Childhood Leukemia International Consortium. Data were contributed by 11 case–control (CC) studies (7919 cases and 12,942 controls recruited via interviews) and five nested case–control (NCC) studies (8801 cases and 29,690 controls identified through record linkage of population-based health registries) with variable enrollment periods (1968–2015). Five-year paternal and maternal age increments were introduced in two meta-analyses by study design using adjusted odds ratios (OR) derived from each study. Increased paternal age was associated with greater ALL risk in the offspring (ORCC 1.05, 95% CI 1.00–1.11; ORNCC 1.04, 95% CI 1.01–1.07). A similar positive association with advanced maternal age was observed only in the NCC results (ORCC 0.99, 95% CI 0.91–1.07, heterogeneity I2 = 58%, p = 0.002; ORNCC 1.05, 95% CI 1.01–1.08). 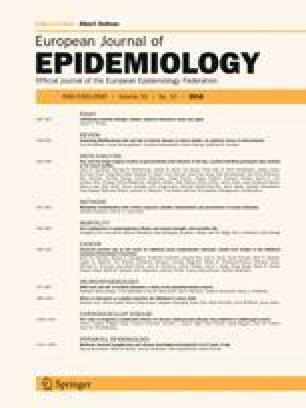 The positive association between parental age and risk of ALL was most marked among children aged 1–5 years and remained unchanged following mutual adjustment for the collinear effect of the paternal and maternal age variables; analyses of the relatively small numbers of discordant paternal-maternal age pairs were not fully enlightening. Our results strengthen the evidence that advanced parental age is associated with increased childhood ALL risk; collinearity of maternal with paternal age complicates causal interpretation. Employing datasets with cytogenetic information may further elucidate involvement of each parental component and clarify underlying mechanisms. Core Writing Group: Eleni Th. Petridou, Marios K. Georgakis, Friederike Erdmann, Logan G. Spector, Eve Roman, Sameera Ezzat, Ana Maria Mora, Nick Dessypris, Joachim Schüz, Claire Infante-Rivard and Alkistis Skalkidou. The online version of this article ( https://doi.org/10.1007/s10654-018-0402-z) contains supplementary material, which is available to authorized users. The CLIC studies thank the families for their consent and participation, the study staff, interviewers and pediatric oncologists for their support as well as Dr Constantinos Mihas and Dr Antonis Analytis for their contributions to statistical analyses. Acknowledgements by study site are shown in the Supplementary materials.